At the 2017 D23 Expo, it was announced that the TRON Lightcycle Power Run Rollercoaster will officially be coming to the Magic Kingdom’s Tomorrowland! The new coaster is going to occupy a completely new area in Tomorrowland next to Space Mountain and in order to get the construction moving, some modifications are going to be made to other attractions close by. Beginning in December 2018, the Walt Disney World Railroad will be parked at the Main Street Station. During that time, guests can take advantage of an up-close and personal look at the railroad along with one-of-a-kind photo opportunities that will be available. Additionally, the Tomorrowland Speedway is set to close for a part of 2019 so the track can undergo some adjustments. In the summer of 2019, the Speedway will reopen as the same attraction guests are familiar with. Magic Kingdom’s Tron attraction, which is set to debut in time for Walt Disney World’s 50th anniversary in 2021, is based on TRON Lightcycle Power Run at Shanghai Disneyland. 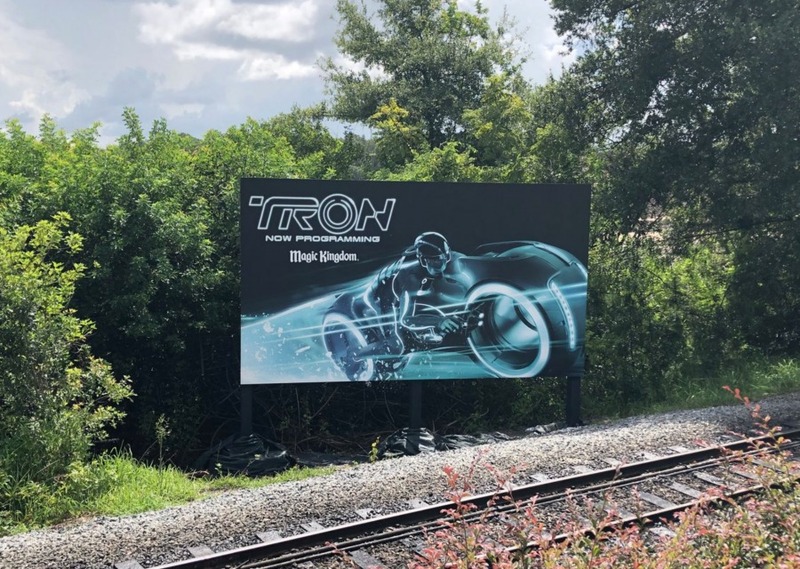 This coaster-style attraction allows riders to board a train of two-wheeled Lightcycles for a thrilling race through the digital frontier. TRON Lightcycle Power Run debuted on Shanghai Disneyland’s opening day and quickly became the highest-rated attraction at the park. The attraction has been tremendously popular since it opened in Shanghai Disneyland Park on June 16, 2016.